You find yourself at the crossroads of a major decision. Or maybe, you do have several options at your disposal - only you don't know which option is best for you. As humanity advances and progresses, so does the complexity of the dilemmas and challenges we face everyday. Unfortunately, we need answers. And we need them fast and we need them detailed. After all, it takes a simple answer to well decide the outcome between 'make' or 'break'. The Yi Jing is a scientific approach that allows us to derive outcomes, based on the scenarios encountered. To do so, it required the use of sophisticated calculations and formulas. 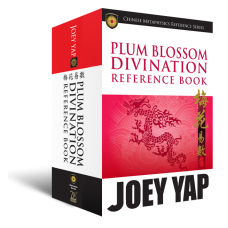 It is a predictive science, and the word 'divination' attached to the Yi Jing bears NO religious, cultural or superstitious affiliation. So approach and learn more about Yi Jing with an open mind - and heart. You've nothing to lose (let alone your soul), and everything to gain! Devised by Joey Yap, the Professional Yi Jing Cards are a set of cards, featuring each of the 8 Trigrams and their unique attributes. 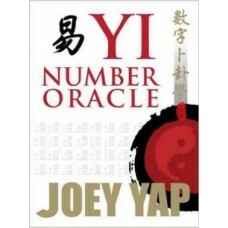 It also includes the 64 resultant Hexagrams necessary for Yi Jing divination. This set of 64 abstract cards facilitates the understanding of Yi Jing precepts and theorems - and may even be used by students who do not possess any knowledge of Chinese language!